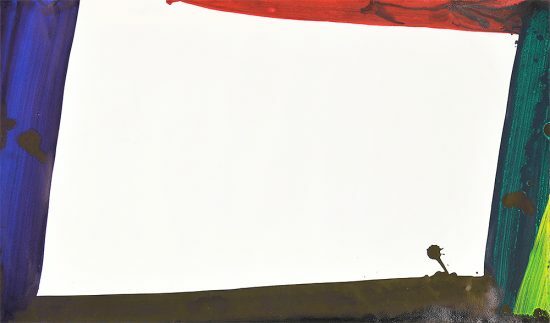 Inscribed ‘Special proof Marlene’ in pencil in the lower middle. 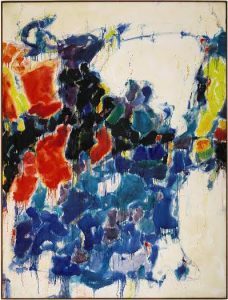 Sam Francis Untitled, c. 1963 is stunning in its simplicity. 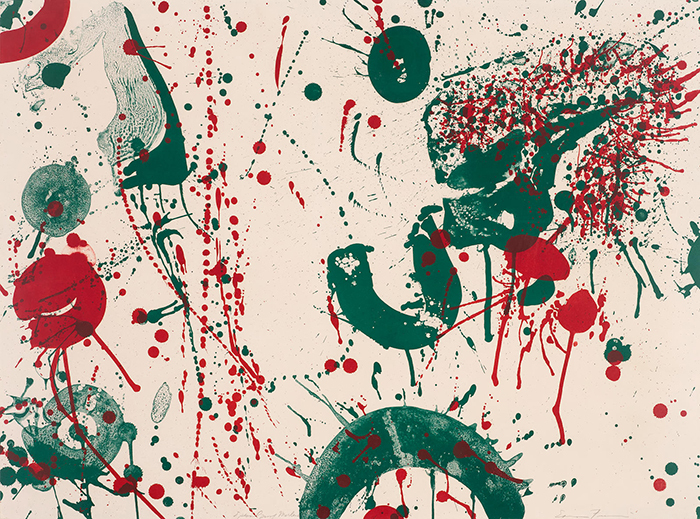 Limited to only two colors—a beautiful red and a forest green—the piece possesses incredible depth that is created by the energetic layering of the two pigments through various splashes, drips, and swoops. 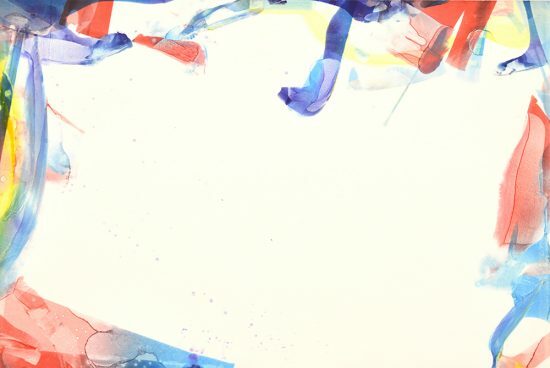 The viewer gets the sense of observing only a slice of a much greater universe of color and motion as the various forms disappear off the edges of the sheet. 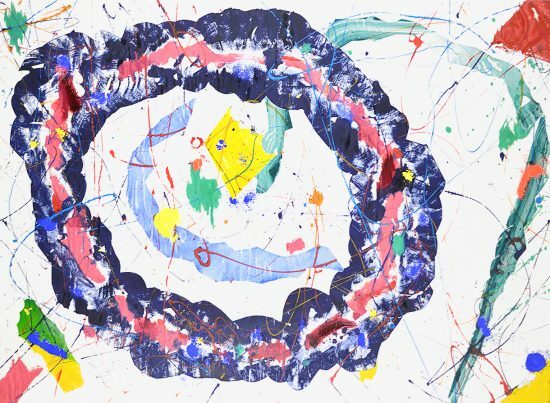 While the entire visual field is wonderfully filled out, much of the background remains unobscured, a testament to Francis’ ability to create a compelling composition with minimal forms. 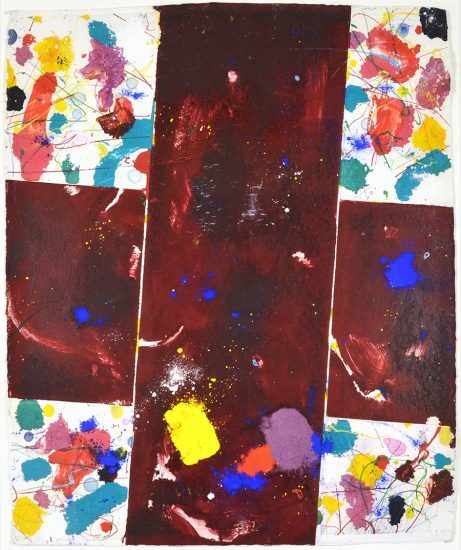 The composition is further enriched by the diversity of those forms, which range from a thin line of red dots running vertically through the piece on the left, to the organic green half-circke rising out of the bottom. 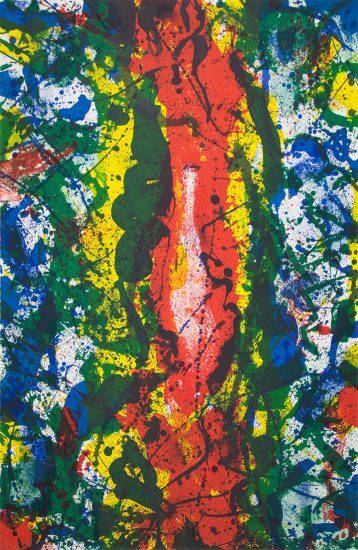 All of the marks on the work seem to be moving at different speeds, in different directions, and with various energies. Some are self-contained and float tranquilly like little planets, some race across the work in a dynamic streak. 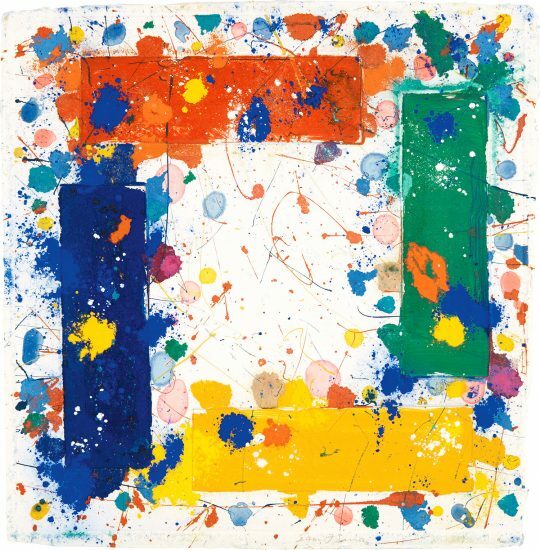 Yet they all come together in visual unity to create an effective and eye-catching composition that showcases Sam Francis’s phenomenal ability to create a compelling abstract narrative. 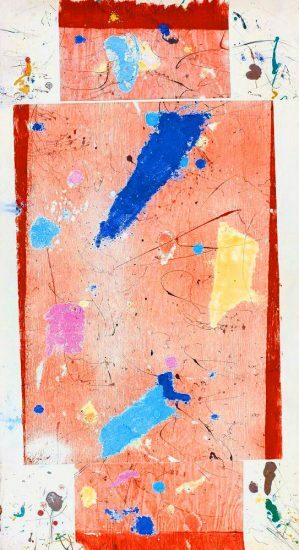 Created circa 1963, this color lithograph on Rives BFK paper is hand signed by Sam Francis in pencil in the lower right and inscribed “Special Proof Marlene” in pencil in the lower middle. 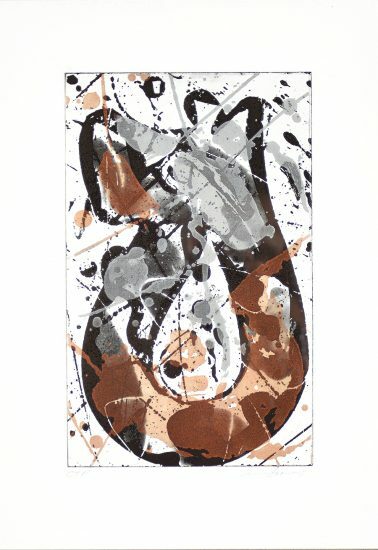 Sam Francis, Untitled, c. 1963 is fully documented and referenced in the below catalogue raisonné and texts (copies will be enclosed as added documentation with the invoices that will accompany the sale of the work). 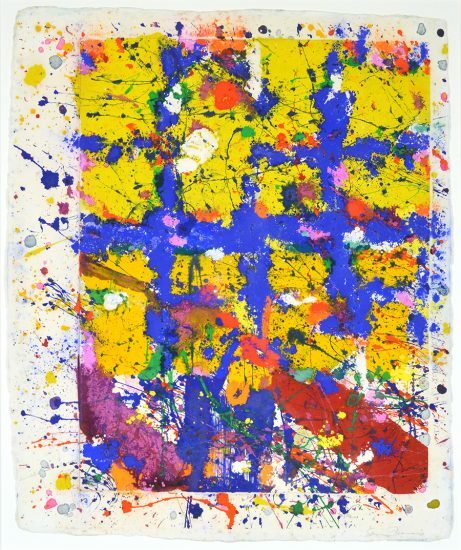 Framed to museum-grade, conservation standards, Sam Francis Untitled, c. 1963 is presented in a complementary moulding and finished with silk-wrapped mats and optical grade Plexiglas.